The beer events keep on rolling through the month of June. Here are a few events that are coming up this week. So, 200 years later, the folks at Engine 15 are setting up a rematch of sorts. In order to determine if the U.S. has superiority over the Brits, a blind beer tasting will be held today, June 18. Each person who participates will be presented with a special flight, dubbed the “The Flight of 1812,” consisting of two American brews and two British brews. Participants will be asked to taste and then rate each beer on a scale of 1-10. At the end of the night, the scores will be tallied and a winner of the Flight of 1812 will be announced. Last Saturday, June 16, Green Room Brewing celebrated their one-year anniversary with a very special release: Secret Spot Russian Imperial Stout aged in Maker’s Mark bourbon barrels. The brew is a rich mélange of organic cocoa nibs and locally roasted coffee that weighs in at a powerful 10% ABV. On Tuesday, June 19, Brewer’s will tap a keg of this remarkable brew for consumption in the restaurant only, meaning no growlers will be filled. In addition, Brewer’s will pay further homage to their friends at the beach by tapping Green Room’s Double Overhead IPA, Pablo Beach Pale Ale, and The Solid White IPA. Never ones to sit still long, the guys at Engine 15 will feature an interesting food and beer pairing on Wednesday, June 20. Look for a special pairing of Engine 15’s own Ramming Speed Black IPA with carnitas tacos. In a clash of two worlds, Cork & Keg is featuring a Yin & Yang wine and beer pairing event. Experts from both the wine and beer worlds will be on hand to pour and help you compare the flavors of these two favorite beverages. Look for beers from Ballast Point, Ayinger, and Dogfish Head along side wines from Palm Ridge, Santa Ema, and Four Points among others. Tasters will be treated to appetizers, and a special gift for the $25 event fee. The first downtown pub crawl back in April was so much fun, the folks at Northstar Substation decided they wanted to do another. This time the crawl will begin and end at Northstar with stops at the newly-opened Underbelly, Lit, 1904, and a surprise bar inbetween. Registration will begin at 5:45 p.m. and the group will depart for the first stop at 6:45 p.m. The cost of the crawl is $15 and tickets may be purchased online at either the Northstar website or the Springfield Brew Crew site, or at the event. All proceeds will benefit the Jacksonville Miracle League. In some circles the term 420 refers to anything that is connected to marijuana. So, in typical stoner style, April 20 has become 420 or “Weed” Day. But, not everyone has adopted the day as a celebration of everything ganja, some have simply taken the name and applied it to a day for being mellow, having fun, and relaxing with good friends, good music, and good beer. Such is the case with the Mellow Mushroom at Tinseltown, this afternoon beginning at 4:00 pm and continuing until 8:00 pm, the gang from Terrapin Beer Company of Athens, GA will be taking over the bar area with multiple taps of their delicious brews and several surprises. One such surprise is that the brewery’s mellow classic, Wake n Bake Coffee Oatmeal Stout, will be served through a Randal of coffee beans to give it an extra caffeine and coffee kick. Wake n Bake is described as “an amazingly thick and enjoyable beer with a hint of sweetness,” by one aficionado on RateBeer.com. Most drinkers will find that this thick, black as midnight brew, emanates a heady coffee aroma with notes of cocoa and vanilla. A sip of this thick brew will reveal the coffee and sweet cocoa upfront with deeply roasted malts and slight alcohol and oats notes. It’s like biting into a freshly-baked oatmeal cookie that has been soaked in coffee for a few minutes. Terrapin Beer Company began in Atlanta, GA when two brewers met while working together at another microbrewery. Spike and John became fast friends and began to craft an idea for a new brewery that turned the brewing world on its ear while still maintaining a lifestyle befitting a brewery committed to supporting local music, the environment, and living life to the fullest. Athens seemed the perfect home to their company and the boys set up shop in 2002. That same year, Spike and John entered their very first brew, Rye Pale Ale in the Great American Beer Festival’s American Pale Ale competition and brought home the gold medal. At only six months old Terrapin had made an indelible mark on the craft beer world and set their reputation in place as a brewery to be reckoned with. The gang from Terrapin has visited Jacksonville before and experience promises that spending an evening with these guys is full of stories, jokes, and awesome beer. You will not regret spending some time with these guys tonight at the Mellow Mushroom Tinseltown, nor will you regret quaffing a few of their exceptional brews. It has been promised for some time and today it has finally happened, Pinglehead Brewing – the beer production segment of Brewer’s Pizza – has achieved what, to some, is the seemingly impossible: they are now licensed and legally able to sell the beer they make on-premises in growlers. And soon, they will be kegging and distributing their beer to area restaurants and bars, so you will be able to get a pint of the tasty Pinglehead Red at establishments other than Brewer’s Pizza. Why did this take so long and what is the big deal about selling beer they make at Brewer’s/Pinglehead to patrons at the restaurant/brewery? In a few words; Florida law. Due to the byzantine nature of Florida beer laws, all Florida breweries, even the smallest, mom and pop operations, must use a distributor to sell their products to retail. Brewpubs, such as Brewer’s Pizza and Engine 15, can brew their own beer and sell for on-premises consumption, but they cannot sell their own beer in growlers for off-site consumption. This law in particular rubs brewpub owners wrong since they can sell other brewery’s products in growlers, just not their own. Most of these laws have ties to the state of the beer industry before Prohibition. Before the country went dry, breweries often owned bars and sold lots of beer for very low prices. The combination of low prices and brewery-owned establishments led to over consumption in the eyes of do-gooders. It also led to fierce competition among breweries for consumer share. After Prohibition, laws were passed to keep the breweries in check and to prevent them from owning bars and keeping beer prices too low. The thinking was that higher beer prices would encourage moderation. 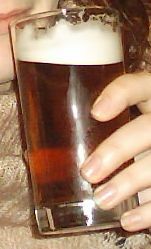 The three-tier system was introduced in which brewers were required to be separated from the retail sale of beer by a middleman or distributer. This system effectively inflated the price of beer by requiring another entity to handle the product and add charges because of their handling. Essentially this meant that in order for a brewery to sell beer for off-premises consumption, they have to package the beer in a bottle, can or keg, a distributor has to pick the beer up and transport it to heir warehouse, then the distributor must take the packaged beer to a retail location for sale to the public. What this literally means is that even if a keg of beer is brewed right next door to a tavern, the tavern could not simply go next door to purchase a keg of beer; they must order it from the distributor who may be all the way on the other side of town. To make things even more difficult, in the state of Florida, entities are only allowed to hold a license in one tier of the three-tier system. This law is what prevented Brewer’s Pizza from the retail sales of beer for off-premises consumption. Because Brewer’s Pizza already held a license for retail beer sales, they could not get one for manufacturing beer. Therefore, they had to go through the long process of separating the brewery from the restaurant, and then license the brewery as a manufacturer of beer under the Pinglehead name. The bottom line is, now that Pinglehead is a licensed manufacturer, they can hire a distributer to sell their beer to other bars and restaurants. The brewery can also sell beer for off-premises consumption at its brewery location just as Intuition Ale Works, Bold City, and Green Room can. And that is cause for celebration. In the coming weeks expect to see Piinglehead showing up in a few bars and as a featured beer at the upcoming Jacksonville Craft and Import Beer Festival, May 18. From the first event Monday night at Kickback’s to the grand finale Saturday at Mellow Mushroom, the first ever Jacksonville Beer Week can only be described as an unmitigated success. The fact the entire week was pulled together in less than a month speaks volumes for the organizational skills of all involved and foretells an even better event next year. News of the week spread quickly through word of mouth and social media. As new venues were added the website for the week was updated and the list of beer-centric things to do grew rapidly. It seemed like new events were added on a daily basis until the week went from an idea to fruition. Each event built upon the previous one to build a fun-filled week that is sure to be the buzz of town until the next Jacksonville Beer Week next year. Some of the highlights of the week included the above mentioned local beer day at Kickback’s on Monday. This was followed by a slew of events on Tuesday including a special beer and food pairing meal at Pele’s Wood Fire, a tapping of a special collaborative beer brewed at Intuition Ale Works by the crew from Mellow Mushroom, a ladies only beer tasting at the Cork & Keg in Fruit Cove, and a special Stone Brewing tasting at Brewer’s Pizza in Orange park. Wednesday brought a showing of the fantastic craft beer vs. mega brewers movie “Beer Wars,” which was followed by a lively discussion panel afterwards. On Thursday the guys at Mile Marker Brewing in St. Augustine transformed their brewery into a movie theater and screened two of the greatest all-time beer movies out there: “Beerfest” and “Stanger Brew,” Engine 15 tapped a special beer brewed by the Florida Times-Union’s Roger Bull and Ed Stansel, writers of Amber Waves beer blog. In addition Grassroots in Riverside hosted a tasting of brews from Intuition, Bold City, Brewer’s Pizza, and Michael Payne owner of the soon-to-be-open Aardwolf Brewery in San Marco. Friday night saw the first annual Springfield Brew Crew Downtown Pub Crawl, a tap takeover of Florida beers at Green Room Brewing that included of 40 local and Florida beers, and Engine 15 hosted a tap takeover that boasted 10 local taps and a special firkin made just for Beer Week. The week closed with the Grand Tasting at Mellow Mushroom at Tinseltown. The final event included beer tastings from most of the local breweries, music from Grandpa’s Cough Medicine, food from Mellow Mushroom, and a brewer’s panel discussion. With the great success of this year’s event it is safe to assume that there will be another next year with even better events and a greater selection of local and Florida beers. The most difficult part will be waiting for it to begin again. Beer in cans is not new to the world in general, but canned beer in the craft beer world is a growing phenomenon. Craft beer brewers have had to re-educate their consumers to the virtues of canning beer as opposed to bottling ever since Oskar Blues Brewing started the trend in the early 2000’s. Because canned beer was most closely identified with the low quality, mass-produced brews of the mega producers, craft brewers have been wary of switching from bottles to cans. But, over the past few years, more and more brews have decided to take the plunge and invest in a canning set-up. Most notably among these new pioneers is Sierra Nevada, which is canning both its Pale Ale and Torpedo IPA. So, what are the advantages of cans vs. bottles? Other than the comfort factor consumers have in glass bottles, cans really have many more pluses than bottles. When you consider the fact that bottles are fragile, heavy, and do not provide a complete light barrier, you begin to see the wisdom in using aluminum. Broken bottles are costly, their weight causes higher shipping charges, and light, well you know the havoc it can cause with beer. On the other hand, aluminum cans are durable, light weight, and provide a completely impenetrable light barrier. And, to head off any talk of metallic taste, modern beer cans are coated so that the beer never touches the metal. The result of using cans over bottles is a win/win situation. Brewers win because cans are light-weight, easy to fill, and cost less than bottles. Consumers win because their beer is fresher, completely protected from air intrusion, and equally protected from becoming light-struck. It is estimated that the number of craft brewers canning their beer is approaching 100. Other sources maintain the number is more like 80. Either way, there are more and more breweries jumping on the canning band wagon. According to Team Hopheads, there are at least eight breweries with canned craft beer available in the Jacksonville market. Breweries such as the already mentioned Sierra Nevada and Oskar Blues are joined by Abita, Magic Hat, Shiner, Brooklyn, and Crispin Hard Cider. Newly added to the list of breweries that offer canned brews is Jacksonville’s Intuition Ale Works. 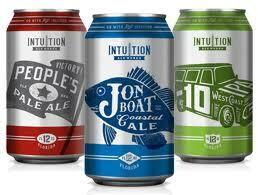 Intuition has the additional distinction of being the first brewery in Florida to can their brews. And if the sales they have been seeing from the canned beers are any indication, the beer-loving public of Jacksonville has no problem whatsoever purchasing canned craft brews. Sales at the Tap Room of canned Intuition beer have been brisk for some time now. It is not unusual to see several cases leave the building in just a few minutes on a Friday or Saturday afternoon. But, the response that the cans received when released to retailers was simply amazing. On the first two days the beer was available in cans, Total Wine at the St. John’s Town Center had sold over 50 cases. Currently Intuition is canning three varieties of beers; Jon Boat, People’s Pale Ale, and I-10 IPA. These three brews are by far the brewery’s best sellers and should become even more popular now that they are readily available away from a beer tap or growler. Cans have come a long way from the old cone-tops and pull tabs; they have become true works of modern engineering worthy of our praise and awe. Without the can, its portability and safety where would we be as a society? No one can truly answer that question, but it is safe to bet, without cans beer would be a little more cumbersome to carry and you would not get to hear that satisfy “Pfffst!” sound as you popped one open. Beer season has definitely arrived with the proliferation of events centric to the world’s most popular beverage. In the next few months there are two beer weeks – the Jacksonville Beer Week and Craft Beer Week – each with their own bevy of events from beer festivals to tasting dinners to pub crawls. If you can’t find something to do that centers on beer this right now, you just are not trying hard enough. Intuition Ale Works – Celebrating local beers, the Tap Room will feature guest taps of Florida-brewed beers through Saturday. Sun-Ray Theater – “Beer Wars” will be screened at 5:00 PM and followed by a panel discussion and Q&A session with local brewers Ben Davis of Intuition Ale Works and Eric Lumen of Green Room Brewing. All beers on tap at the cinema will be local only! Engine 15 – Special beer and food pairing of Oak-Aged Simcoe Imperial IPA paired with steam burger sliders and coconut rice ice. Engine 15 – The guys who write the Times-Union’s beer blog and column Amber Waves – Ed Stansel and Roger Bull – will be tapping their own beer named appropriately Amber Waves Amber Ale. Proceeds for this event go to the St. John’s Riverkeepers. Brewer’s Pizza – Local IPA night featuring IPAs from Intuition Ale Works, Bold City Brewery, Green Room Brewing, and the debut of their own double IPA Landslide IPA. Plus they will have a special IPA soup and bread to pair with the hoppy brews. Mile Marker Brewing – Double Feature Night! The St. Augustine brewery will host screenings of “Beerfest” and “Strange Brew,” two classic beer movies. Engine 15 – Jax Beer Tap Takeover! Five Engine 15 beers on tap, one in a firkin, and Old Battle Axe through the Randall. In addition to this, ten beers from the other local brewers. Green Room Brewing – Florida beer tasting of more than 25 Florida-brewed beers. Downtown Jacksonville – The Downtown Pub Crawl presented by the Springfield Brew Crew and sponsored by Intuition Ale Works. Get all the details and purchase tickets at http://www.sprbrewcrew.com. All proceeds for this event benefit The Bridge of Northeast Florida an after-school education program for disadvantaged and urban core children. Mellow Mushroom Southside – Grand Tasting with unlimited tastings of local and Florida brews. For more information and to purchase tickets go to http://www.beerweekjax.com. All proceeds for this event go to the Daniel Foundation. Shuttle service will between Intuition and Mellow Mushroom to be furnished by the Jax Brew Bus. Gainville’s Kanapaha Botanical Gardens will be the venue for the Hogtown Craft Beer Festival April 14. Look for a slew of Florida and local brews at the festival sponsored by the Hogtown Brewers a home-brewing club located in Gainesville. There will also be food from local resaturants and entertainment. Tickets are $35 for general admission, $75 for VIP. Proceeds benefit the St. Johns Riverkeeper and the Alachua Conservation Trust. See their website (http://www.hogtownbeerfest.com) for more info and tickets. For the past 19 years the Folio Weekly has been throwing this beer bash and this year is no exception. Friday, April 27 the Morocco Shrine Auditorium will once again host more than 200 beers, food from local restaurants, a chicken wing eating contest sponsored by Whisky River, hookahs from The Casbah, and more fun than should be humanly possible. Tickets are $20 for general admission, $25 for VIP in advance and $5 more at the door for each. While events for Craft Beer Week are still being firmed up, the capstone event is already planned and in the offing. The Craft and Import Beer Festival will be held May 18 at the Veterans Memorial Arena. The unbridled success of this festival has necessitated the opening of the third level of the Arena so even more great beer can be stuffed in. There are more than 35 breweries scheduled to attend with over 200 beers to sample. Proceeds for this event benefit the Southside Business Men’s Club. Tickets are $30 for general admission and $45 for VIP. Purchase tickets and get more info at: http://www.beerfestjax.com. It gets cold in Michigan during the winter months, so cold that the average winter temperature there is only 30 degrees. The coldest temperature on record there was recorded on February 9, 1934 when the mercury dropped to an astoundingly cold 51 degrees below zero. Add to that the over 58 inches of snow they get annually and one might wonder why anyone would want to live there much less brew beer. But, brew beer there they do! Bell’s Brewery began its life back in 1983 when Larry Bell opened a home brewing store called Kalamazoo Brewing Company. Soon after opening – 1985 to be exact – the store he began brewing his own beers and selling them to customers. In those early days the brews were made utilizing a 15 gallon soup pot and fermented in open fermenters covered only with plastic wrap. In the first year of production the budding brewery managed to turn out only 135 barrels of brew, but change was coming and along with came capacity. In 1989 the operation had grown to over 500 barrels a year with no end in sight to their expansion. With an eye to brewing flavorful, unfiltered beers, Bell and his merry band of helpers grew their portfolio to over 20 different quality craft beers not including small-batch brews for their on-site pub. The company strives to make thoughtful, creative, and artistic beers as well as an authentic experience to their customers through unique ales and beers. In 2005, Bell changed the name of the Kalamazoo Brewing Company Bell’s Brewery, Inc., reflecting the name by which most people refer to the brewery. Today, the brewery owns two separate facilities, the original Kalamazoo facility and the new plant in Comstock Township that sports state-of-the-art brewing equipment. The original building still houses brewing equipment as well as an attached pub – Bell’s Eccentric Café – and a store that still supplies home brewers and sells Bell’s apparel. 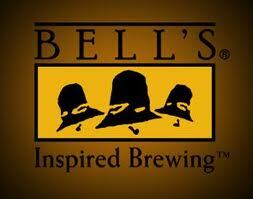 In-the-know beer enthusiasts know that Bell’s has a tradition of introducing outstanding seasonal brews. This practice of releasing beers only during optimal seasons ensures the beers are perfect for enjoying right away. Moreover, savvy beer snobs know that this time of year is when the much sought Hopslam is released. This week several, local watering holes such as Pele’s Wood Fire, Kickback’s, and Brewer’s Pizza have put this delicious double IPA on tap to much fanfare and the delight of beer drinkers in Jacksonville. Tuesday night, Pele’s went all out with representatives from Team Hopheads passing out Bell’s pint glasses with a Hopslam purchase, a special spicy pizza concocted specifically for the event, and Grandpa’s Cough Medicine, the outstanding local bluegrass phenomenon playing to an adoring crowd. But, Hopslam is not limited to just taps, it is also available in six-packs at local stores if you can find it. And if you can, prepare for sticker-shock. This potent (10% ABV) brew retails for $20 a six-pack. Some may be asking if Hopslam is worth the necessary search and high price, the answer is a resounding yes! The Bell’s version of a double IPA begins with a complex hopping schedule of six different hops and a huge dry-hop addition of Simcoe hops for the perfect aromas of citrus, grapefruit, and pine along with a pleasing and stand-out bitterness. To balance the impressive bitterness of the hops, the brewers add a healthy amount of honey and just enough to the malt bill to balance the brew with sweetness. Hopslam pours clear copper in color and is redolent with the aromas of piney hops, sweet caramels, pineapple, and citrusy grapefruit. When you finish admiring the smell of this great beer and finally take a sip your taste buds will be assaulted by the huge hoppy nature of this brew – but, in a very good way. Intense pine and grapefruit flavors give way to honey sweetness and maltiness. Your mind will tell you to savor every sip, but your instincts will be to drink it much more quickly so you can get another. Even with the extreme hop profile, this brew is extremely drinkable so be sure to watch out, that 10% ABV will sneak up on you fast. Lest you think that Hopslam is the only noteworthy brew from this brewery, I would also like to discuss some of their other outstanding brews. Another exceptional seasonal brew is Oberon Wheat Ale fermented with Bell’s own house yeast strain. Available to most of the country only during the warmer months of the year, Bell’s makes this brew available in Florida year-round. This brew is smooth and delicious, perfect for a hot summer afternoon of sipping from a hammock. Two Hearted Ale is another intensely-hopped beer that is expertly balanced by a great malt backbone. This brew is hopped exclusively with Centennial hops from the Pacific Northwest in both the brew kettle and fermentation tanks. The result is a smooth, citrusy IPA in the best American tradition. There are many more beers from this brewery to discover like Third Coast Ale, Kalamazoo Stout, and Amber Ale. You really cannot go wrong with any of their products. Cold winters in Michigan give way to mild summers and the brewers of Bell’s revels in the change of seasons by surprising its followers with yearly additions of their highly demanded beers. All that can be said is; keep them coming, we will drink all you send! Help me support this blog. All major credit cards accepted. Looking for a beer-centric, book, movie, t-shirt or coozie? Need to outfit yourself with a home brew system? Want to keep your brew cold in your own beer 'fridge? You are in luck! Visit the all new Jax Beer Guy Schtuff Page and get what you need today! Main & Six Brewing Co.